Expected Release: April 25, 2019. Date subject to change. Humankind is about to leave the Earth. The race for exoplanets' colonization has begun. Each Super-country has started building its own space station, in which Space Gates will be set up. The goal: to send as many settlers as possible through these gates in order to take control of the new planetary system. Each player leads a Super-country. 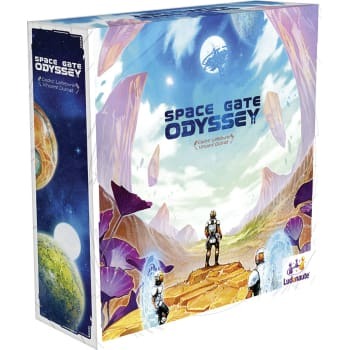 They must plan the work of their engineers in the Odyssey headquarter, supervise the construction of their station's modules and manage the flow of their settlers in their station and through the gates.